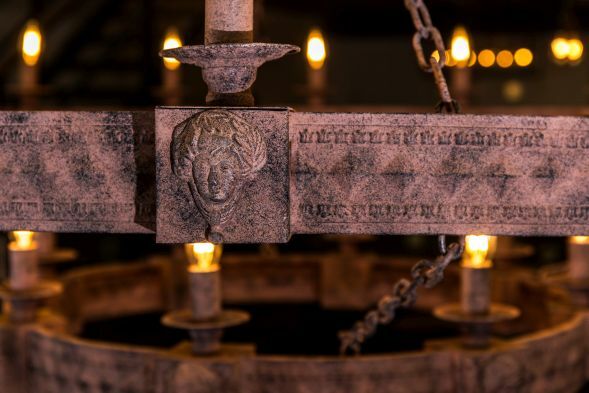 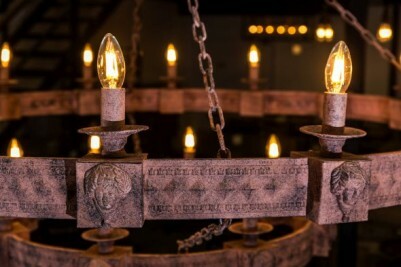 This impressive medieval gothic style chandelier is available in a one or two tiered variety. 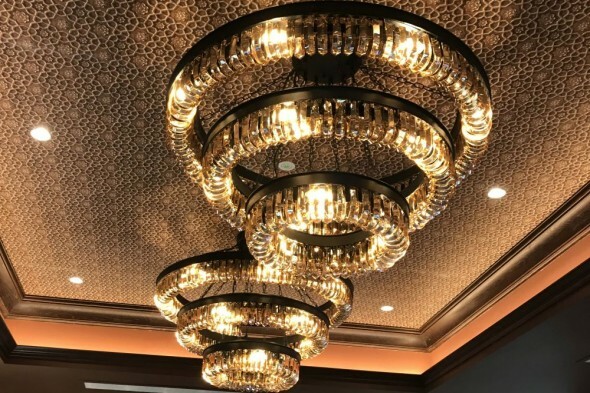 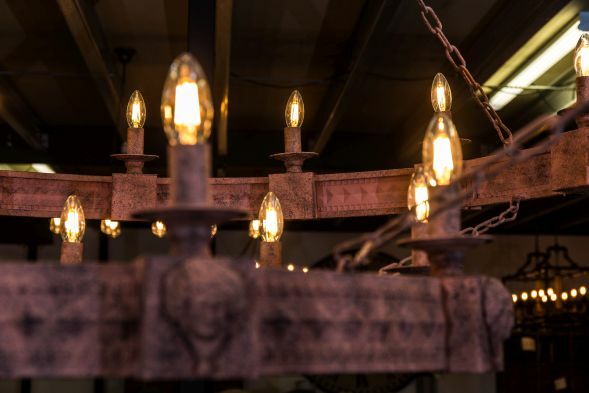 The larger chandelier features a total of 24 candle holder style light fittings, spread over two tiers, with the smaller single-tiered light having eight fittings. 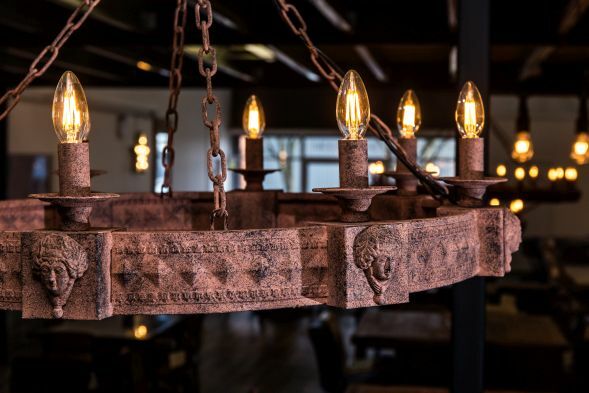 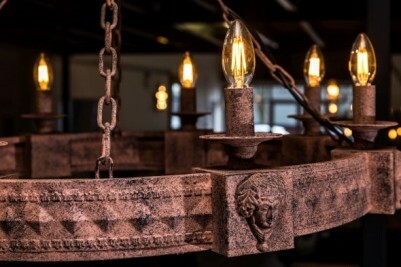 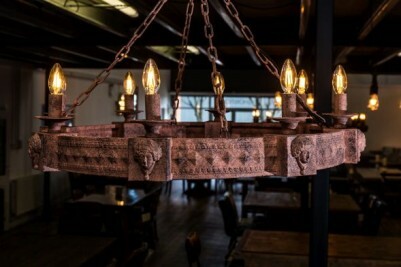 A stunning feature for any gothic inspired interior, this ceiling light would be a fantastic focal point for a large restaurant, banquet hall or medieval style dining room. 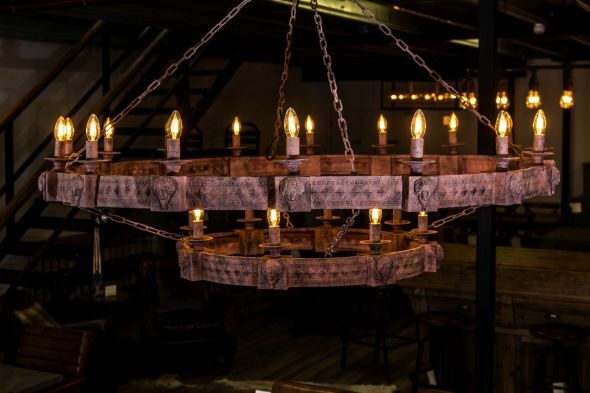 The chandelier is suspended by metal chains and has a rust effect finish – giving the item an authentic aged appearance. 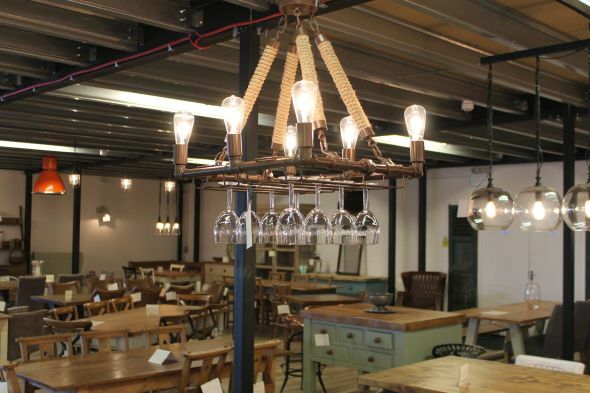 Browse the website to see our full range of lighting, or visit our showroom. 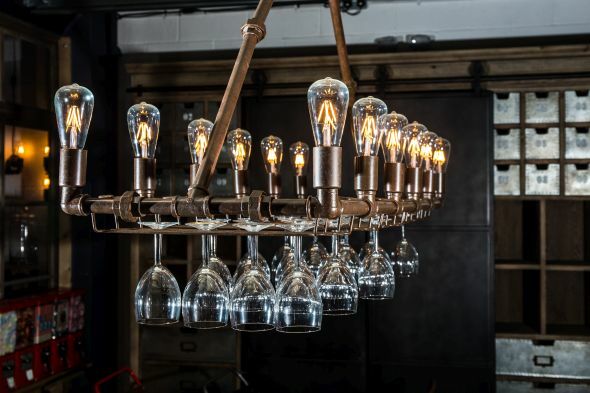 We recommend that this light is professionally fitted by a qualified electrician. Due to the size of this product, it must be delivered via a courier, with the minimum charge being £45.00. 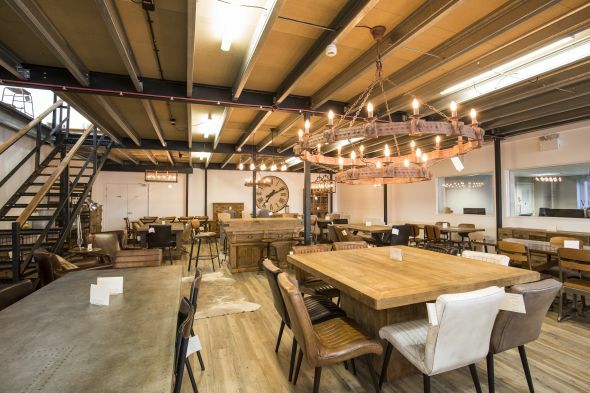 You are welcome to come and collect from our premises in Staffordshire. 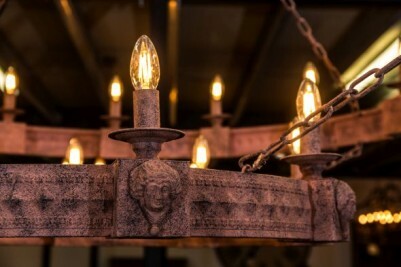 Please note, dimensions stated below are approximate. 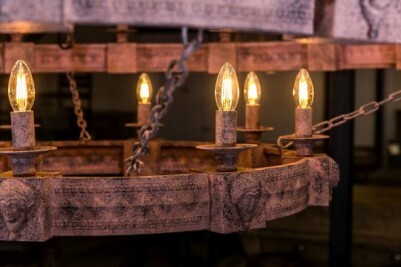 The height is from the top of the four supporting chains to base of bottom tier. 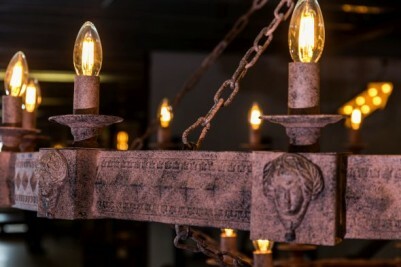 The length of the chain running from the ceiling to the top of the four supporting chains is not included in this measurement.